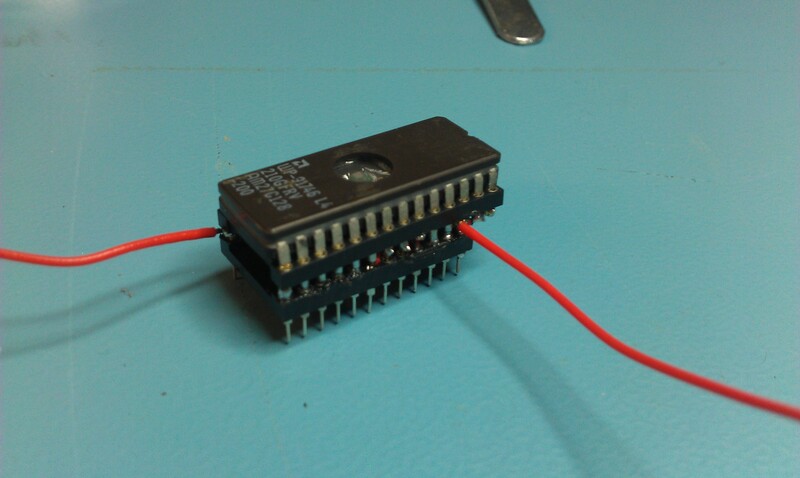 Today I finished my adapter to make a breadbin 64 accept a 27C128 EPROM. The standard kernel ROM is a 2364 pinout and is 64Kb. To fit both the original kernel and the JiffyDOS kernel on obviously we need a ROM twice the size. The problem is the 2364 is not compatible with any EPROM pinout unlike the C64c so this adapter is necessary. I used 2 turned pin sockets, a 24 pin and a 28 pin one. On the 28 pin socket cut pins 20, 23 & 26 short,not completely off but short enough not to make contact with the pins on the 24 pin socket when pushed together. 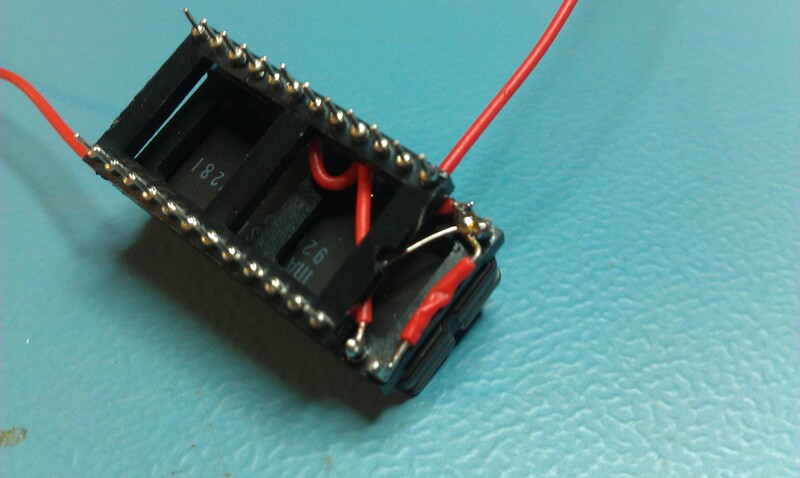 Attach flying leads from pins 14, 26 and 28 of the 28 pin socket, these will go to your switch. You can also fit a 4.7k resistor between pins 26 and 28 which means you don’t need that extra flying lead from pin 28 to the switch, just makes it that little bit easier. Mash the two sockets together lining pin 14 of the 28 pin socket to pin 12 of the 14 pin socket. Fit your 27C128 eprom and you should be good to go. My first attempt works well but isn’t the neatest. If I make another and I almost definitely will, it will be neater. I think it looks damn good mate, well done! Reminds me of the Boris Karloff Frankenstien movie..a bit from here, a bit from there, bend..erm..elbow pin and mash em all together….It’s ALIVE. It works well but I’m not happy with it so gonna redo it tomorrow. Now I know what to do differently it should turn out better.